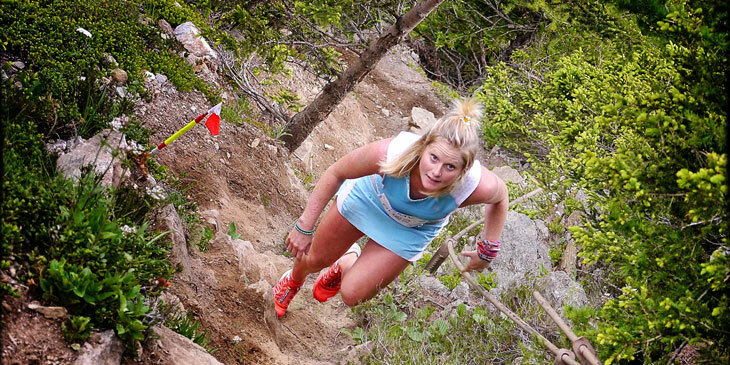 While the Western States 100 takes place this weekend over in the US as part of the Ultra Trail World Tour (UTWT), in Europe we see the Skyrunning World Championships taking place in the divine alpine resort of Chamonix, France. I’m sure it’s no coincidence that these two mammoth races are taking place on the same weekend, as two of the sports most powerful bodies locks heads with their top of the billing races. The topic is probably worth an article to explain the differences in approach and logic between UTWT and Skyrunning, but we’ll save that one for another day – instead we’re going to focus on who’s who in the zoo for this one, and as mentioned, place a focus on the women’s ANZ Skyrunning team, who are in with a real shot of taking out the ladies team win. So what’s happening this weekend in France? The whole affair is going to be pretty spectacular, and if you’ve never raced over in Europe, you should seriously consider it. In total, 3,400 athletes will participate in the three Skyrunning World Championships disciplines with a total of 7,000 runners overall in the weekend’s events. That’s quite a lot! In the previous World Championships held in 2010, the country ranking was headed by Italy, followed by Spain and France. Four years on and the country participation has more than doubled, with 28 nations taking part. Certainly Spain is the all-out favourite, with France and Italy close behind. With the rapid development of the sport and new countries emerging, the picture could soon change. Strong competition is forecast from Great Britain and our own ANZ team is tipped to do very well, with a number of very strong athletes taking part. We caught up with Jacinta O’Neill and Anna Frost to get their thoughts ahead of Saturday’s racing. How are you both feeling ahead of the race next week? 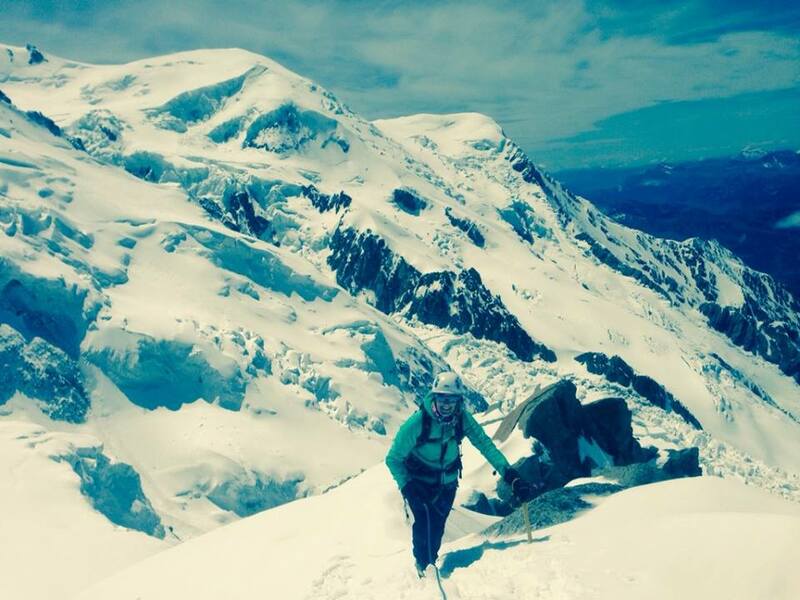 JN: I’ve been based over here in Chamonix for the last three weeks just learning French, drinking coffee and running mountains – I may never come home! Watching the town come alive with each new runner that arrives and everyone doing side glances of each other’s shoes has been awesome and a little hilarious – I’m just itching to get out there and at the same time hoping it never ends! AF: Excited, ready to go, to race with and against amazing girls from all over the world is going to be such an incredible experience. It’s a brute of a course – how have you prepared? What’s the most important aspects to train for? The long uphill slogs? Technical? Or downhill conditioning? JN: Having ‘run’ most of the course now, ouch, brutal is all I can say. I can see the reason why the fastest woman’s time is 13.5 hours for the 80km. It’s not so much the massive climbs at elevation through snow, but more that the ‘easy’ runnable sections where you could make up time are the most technical, razor-sharp rock infested tracks you could ever imagine combined with 2000m cliff edge drop offs – just crazy! Looking back over the last eight weeks of training since I found out I’d be racing over here, I’m pretty happy with my preparation. I swapped my shifts around to work week on/ off and I actually think this was the best approach for this race for two reasons. Firstly, I would spend each week off in the Victorian Alps backing up day after day on tired legs and this has given me a lot of confidence in just what I can achieve on dead legs. Secondly, working a week straight of 14 hour shifts where I have to concentrate or risk death (someone else’s) is perfect preparation for the most incredibly technical and at times terrifying (risking my own death!) course that will take me at least 14 hours. I think the most important aspects of training to just finish the course would be hour-long downhill efforts on steep, quad busting terrain. I think you could hike enough to survive but you need legs that will get through the descents, especially the final one into town. AF: Yes it is a beast. It demands respect for bit of everything. My strength is usually the uphill, and here there are 6000m of them in a stunning environment so I am going to be in my element. As one of the leading teams, who do you think will also provide some stiff competition? I’m sure the French and Spanish teams will be right up there? JN: As the race takes the fastest men’s and women’s results over the three races (80km, vertical km and marathon) we have a good chance of doing really well. We’ve got a super talented women’s team that it is nothing short of an honour to be named on- Anna Frost, Ruby Muir, Jo Brischetto, Lucy Bartholomew and Sarah-Jayne Miller. Most importantly is that they are also the nicest, most supportive girls I’ve ever met in sport so it’s great to be part of such an awesome team and it will do nothing but help us to all lift to a new level. AF: Anyone could win this race. We are all in similar physical conditions. This race will come down to who can maintain and manage themselves the best on the day. 30mins could be lost or gained very easily here. Anna is back into rip-roaring shape with a number of wins under her belt this year. Along with Ruby, Lucy, Jo, Sarah and Jacinta, the ladies ANZ team is looking very strong. What are your own personal goals for the race? JN: I’m a meticulous planner for races with multiple micro goals within the course but I don’t want to give away all the magic in case Emelie Forsberg is reading so here are my three major goals: Goal one is to just get to the start line, after tearing a ligament in my ankle a few days ago, it’s a race against time at the moment but one I’m hopeful of winning. Goal two is to finish the race. Having never raced longer than 11 hours it’s a real unknown, but that’s exactly the beauty of ultra running- doing something that you perceive impossible until you stop putting limits on yourself and just go see what you’re capable of. And preferably with a smile. Goal three is to negative split the race. It’s easy to destroy yourself early on but if you don’t keep a little in the tank to keep your feet moving swiftly over the technical, rock-hopping tracks it’ll be a long day out. The other ‘goal’ has been a holiday- long exercise in stalking my idol, Emelie, for a photo. As yet unsuccessful, but I now know which supermarket she buys her baking goods at so the search is narrowing and worse comes to worse, I’ll just have to run ridiculously quickly to catch her in the race! AF: My goal for this year remains the same. To race healthy and happy and injury free. So far so good. I am fit and excited to race and ill give it the very best I can, whether that is to win or come last but remaining healthy, I will be pleased. Declaration of Interests – Marcus Warner is president of Skyrunning ANZ. As part of our own ‘self-regulation’ and to avoid conflict of interests, Marcus does not have any involvement in writing articles about Skyrunning for Ultra168. That decision and any subsequent articles is left purely down to Dan, who decides whether to write on it, based purely upon the merit of the story. You can do it! I am delighted that you have done so much planning and set your self the micro goals. This will go a long way in having a great experience on the day. Recognizing the different elements of the course and how you might best tackle each section is a tremendous way of approaching this challenge. I am so impressed that you are competing in this event and I just love your attitude in having a crack at this course in this magnificent part of the world. May all the good wishes and good thoughts of your friends and family put wings on your feet. Dad.